Symposium Technologies continues to make inroads into the defense and homeland security market with the announcement of our latest installation, Canadian Forces Base Edmonton. CFB Edmonton is home to Land Forces Western Area, which provides command and control for all army formations in western Canada. It is also home to a number of highly-decorated units, including the 1st Mechanized Brigade Group, 3rd Battalion Princess Patricia’s Light Infantry, Lord Strathcona’s Horse (artillery), 1st Combat Engineer Unit, 408th Tactical Helicopter, and 1st Field Ambulance. Elements of many of these units were part of Canada’s response to the events of 9/11, seeing combat in Afghanistan during Operation Anaconda, and subsequent deployment to Kandahar as part of the ongoing process of bringing peace and stability to the region. Personnel from CFB Edmonton have been highly active in any number of other peace keeping operations in such high-risk theatres as Bosnia and Kosovo. 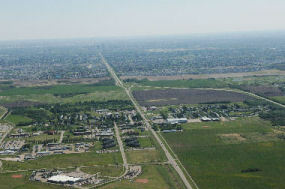 CFB Edmonton is largely an urban base, with facilities scattered throughout the City of Edmonton and surrounding area. Its infrastructure is considerable, consisting of numerous administrative offices, barracks, armories, motor pools, training facilities, and a runway so large it’s designated as one of the official alternate landing facilities for the space shuttle. Providing effective alarm monitoring to this facility is key to helping ensure Canada’s defense, enhancing the safety of military personnel and their families, and preventing potential acts of terrorism. Symposium’s Horizon EME is well suited to this installation because of its powerful features, its flexibility, and its outstanding track record at other military facilities across the country. Going forward, the ability to extend the system to provide dispatch, mobile data, GPS, and integration with CCTV and digital radio provides CFB Edmonton with access to the latest technologies in a seamless system that provides comprehensive, end-to-end incident detection and management. The EME alarm monitoring system at CFB Edmonton integrates with alarm panels and receivers from Electronic Surveillance Corporation, and can accommodate a full range of sensors including fire (smoke, heat), security (infrared, motion, door/glass break, etc. ), CNB (chemical, nuclear, biological), and other more specialized systems. The EME also enables base personnel to perform remote diagnosis and control of integrated sensors, providing the highest levels of real-time control and system management.